Millions of disabled veterans go without the benefits they deserve for their dedicated services, but many denials are due to confusion about the laws or mistakes in the claims process. When you qualify but do not receive payments, you leave your benefits on the table. The VA-accredited lawyers at the Comerford Law Office, LLC can assist with the process and will be at your side through appeals, so please contact our firm to schedule a free consultation regarding your claim. 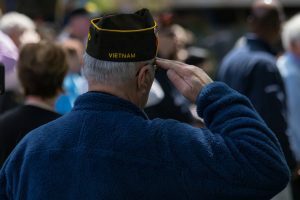 You can also read on to learn more about how a Hobart Veterans’ attorney is your most valuable asset in veterans’ disability matters. Establish a connection between your current disability and your time in active duty. After reviewing this information, the VA will issue a determination regarding the benefits you can receive. The amount is based upon your percentage of disability, which may range from 10 to 100%. Your dependents are also part of the equation. Your benefits are not subject to income taxes and can not be offset by claims for Social Security and similar programs. When you are filing a Form 9 to appeal a denied claim for disability benefits, you face an uphill battle of legal complexities and requirements. There are thousands of pages of laws that apply to your case, plus a myriad of procedural rules that can make or break your claim. Though not a requirement, it is highly recommended that you retain a VA benefits lawyer who can help you navigate the complicated process. Our attorneys at the Comerford Law Office, LLC are meticulous in completing the right forms, supplying proper supporting documents, and staying within time deadlines. 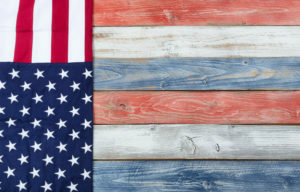 At the Comerford Law Office, LLC, we know that disabled veterans may be tempted to go it alone in seeking past-due benefits when times are already tough. Because we are dedicated to serving your needs, we charge for legal fees on a contingency basis: You do not pay unless we recover benefits in your case. Our services are charged as a percentage of the total amount you receive upon approval, which is usually between 20 and 33%, as reasonable under your specific circumstances. Financial hardship should never be a reason to represent yourself in such a complicated proceeding. If you need help with the application process or appealing a denial of benefits, please call the Comerford Law Office, LLC at 312.863.8572. Our legal team can answer your questions and set up a no-cost case assessment with a skilled VA benefits lawyer. Attorney James Comerford has extensive experience dealing with disability claims, and he is dedicated to ensuring our nation’s veterans get the benefits they have earned through their service.